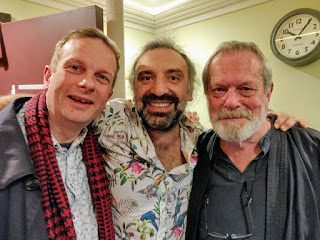 Apparently John Higgs (left) likes to pass the time hanging out in London with Stefano Bollani and Terry Gilliam when he's between BBC Radio appearances. (Via Twitter). 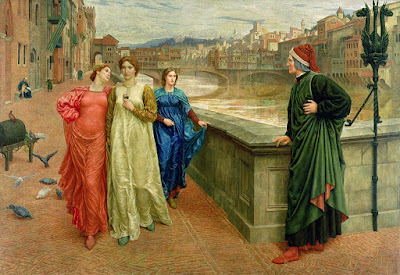 On the evening of November 26, the BBC Radio 4 program "A Good Read," apparently a show in which guests discuss their favorite books, will rebroadcast a 2007 episode that features Ken Campbell talking about Illuminatus! Then on Nov. 27, "Comedian Gráinne Maguire and alternative history author John Higgs talk to presenter Harriett Gilbert about the books they love and want to share." I can't tune in BBC radio from Ohio, but apparently once the programs air, I can download them as podcasts.